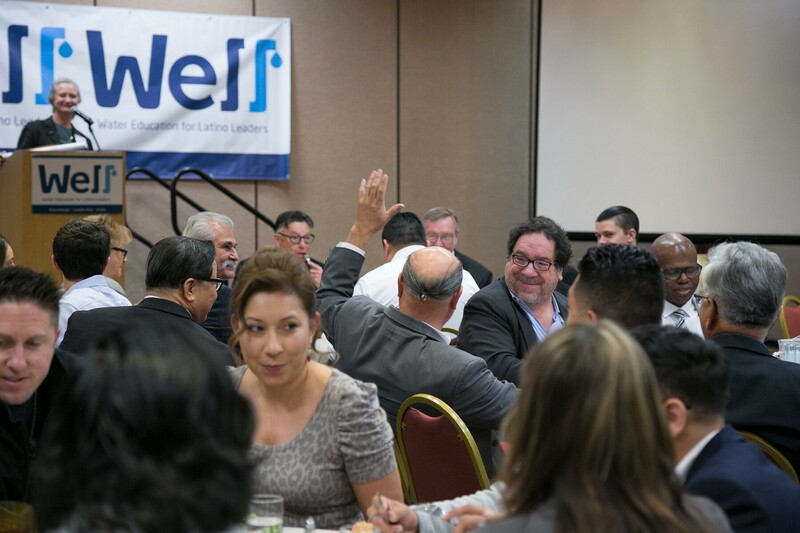 SACRAMENTO, CA – Water Education for Latino Leaders (WELL) announces it has successfully held its sixth annual water conference which was attended by over 100 of California’s local Latino elected officials. 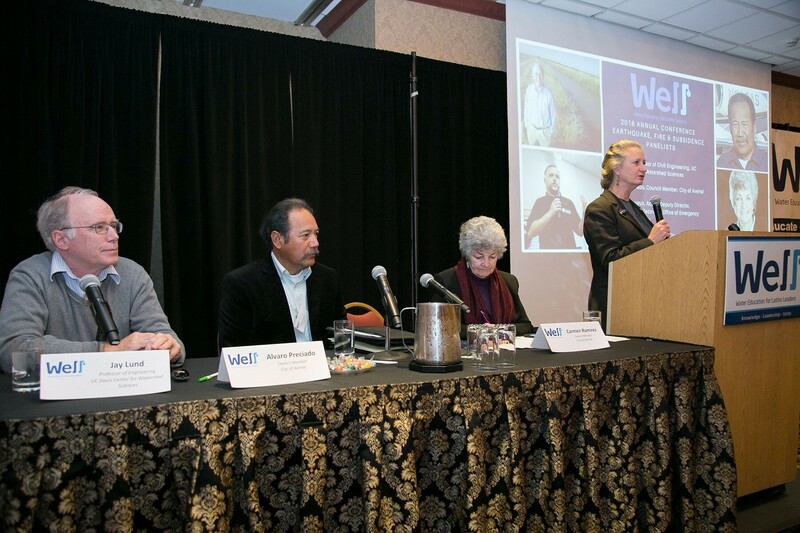 The conference, held on March 22nd and 23rd, featured a tour of the Sacramento River Delta as well as expert panels and speakers on topics such as water infrastructure investments, flood control, and earthquake and disaster planning. WELL’s goal is to educate, engage and empower Latino leaders to build equitable representation in California’s water policy landscape. WELL accomplishes these goals by convening its annual conference and through the recently launched WELL UnTapped Fellowship, a year-long capacity-building program for local Latino elected officials, who receive a comprehensive view of the history, governance, public policy, geography and economics of water in California and apply their knowledge by implementing a water project in their local communities. Latinos represent 40 percent of California’s population, yet only 2 percent of its water policy professionals. Additionally, data shows again and again that Latino’s are disproportionally affected by shortcomings in California’s water system. Most recently, a study showed that 100,000 Central Valley residents in California do not have access to clean drinking water, 57% of which, are Latino. It is with this backdrop in mind that WELL was formed in 2012 to educate, engage and empower Latino lawmakers to build a sustainable water future for all Californians. WELL believes that through leadership and action, California can effectively and responsibly manage its limited water resources and combat the growing threat of climate change. For more information, visit: LatinosForWater.org. WELL board member Celeste Cantu’ and General Manager of the Santa Ana Watershed Project Authority moderates an expert panel on Earthquake and disaster preparedness. 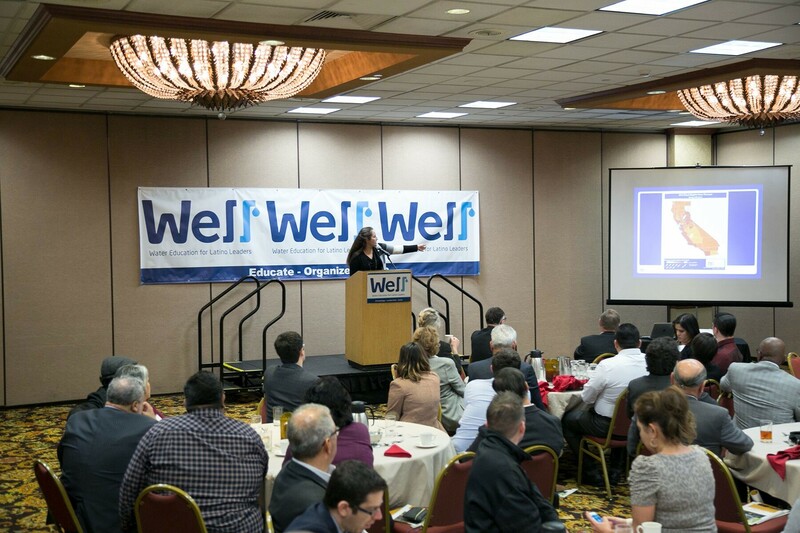 Dr. Mindy Romero, Founder and Director of the UC Davis California Civic Engagement Program keynotes the lunch session of the WELL conference. WELL board member Celeste Cantu’ and General Manager of the Santa Ana Watershed Project Authority moderates addresses the conference before the lunch speaker.